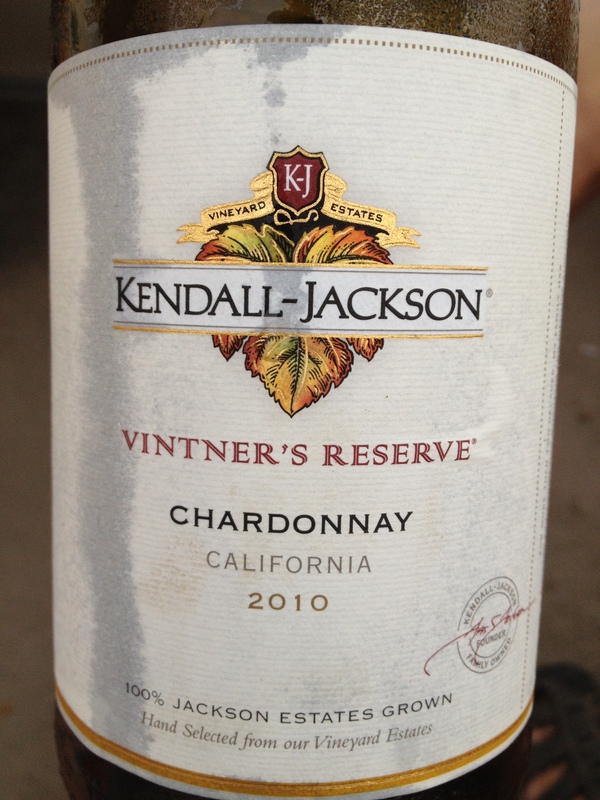 The 2010 Kendall Jackson Vintner’s Reserve Chardonnay, California, USA. We stayed up at Lake Monomonac an extra night for an opportunity to relax after the family picnic, and it was time very well spent. After saying goodbye to the departing guests and rafting leisurely in the humid summer afternoon, it was time to head out on our hosts’ party boat for a relaxing cruise in Vermont and New Hampshire waters. Six of us–plus Finn the dog–checked out the amazing waterfront properties and felt the lake breezes in our faces to great effect. Already I’ve forgotten the good champagne that immediately preceded this bottle, but I recall it being a lovely, light way to celebrate the coming of dusk. Next up was the 2010 Kendall-Jackson Vintner’s Reserve Chardonnay. We’re no strangers to KJ and this one was definitely on point. California is easy territory for us and never disappoints. I don’t know if it was the great company or surroundings (how can you have an unsatisfactory bottle, away from the pressures of work and with family on the lake?) but had to be certain to document this label for the blog. I’m sure there are some taster’s notes available to assist you if you’re looking for a professional’s writeup of the Kendall-Jackson. But if you’re looking for plain speak, just know this varietal is affordable, a light citrus dynamite, and entirely pleasurable–even if you’re not enjoying it in scenic boating spot like we were. You can thank me later!